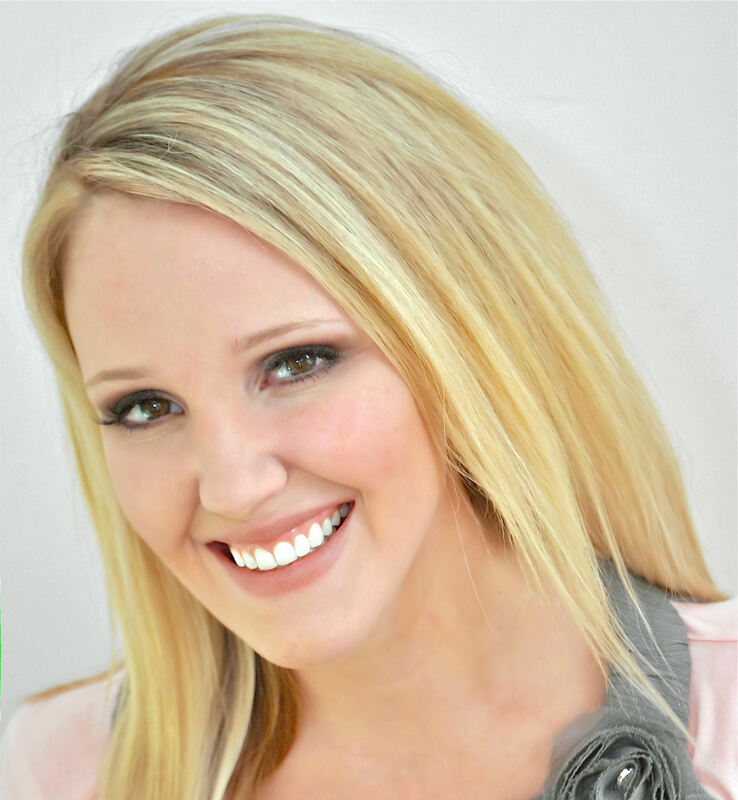 Looking for a party with a good story?! 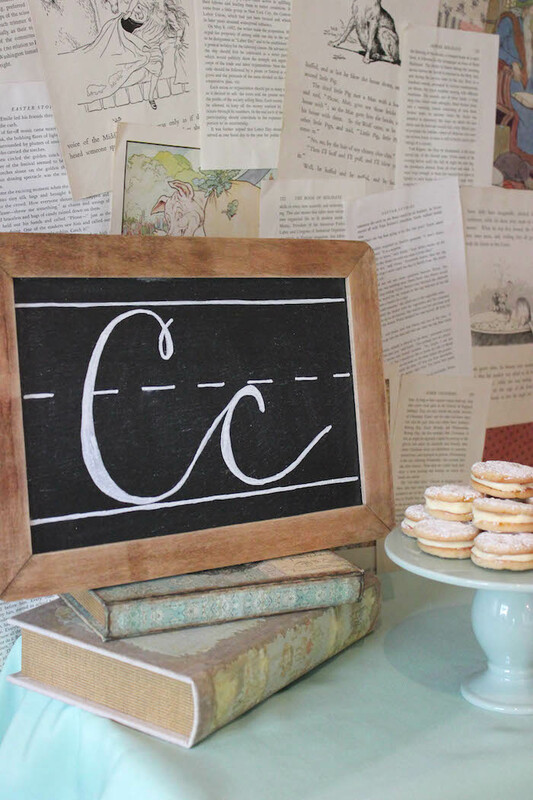 You will be captivated by this Librarian Book Themed Retirement Party by Alison McKown of Just Add Confetti, out of Pittsburgh, PA! 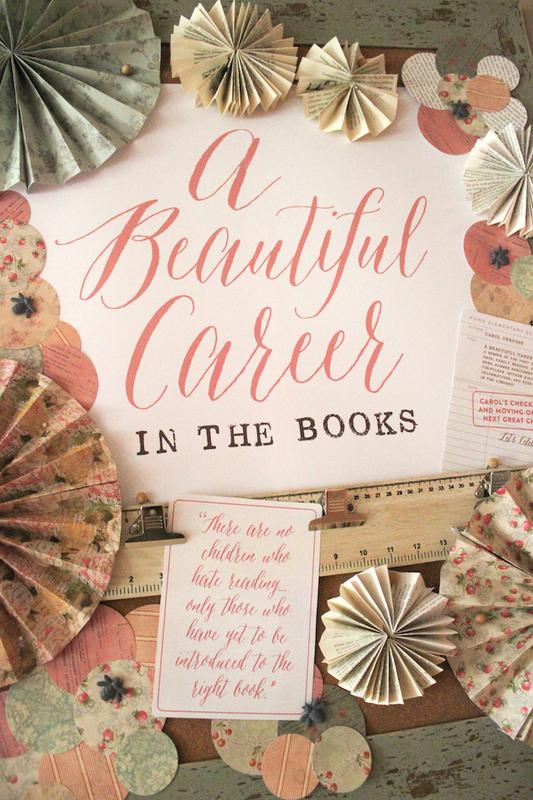 Instantly grabbing your attention and pulling you in; this adorable event is full of fun details that anyone who loves a good book will adore! 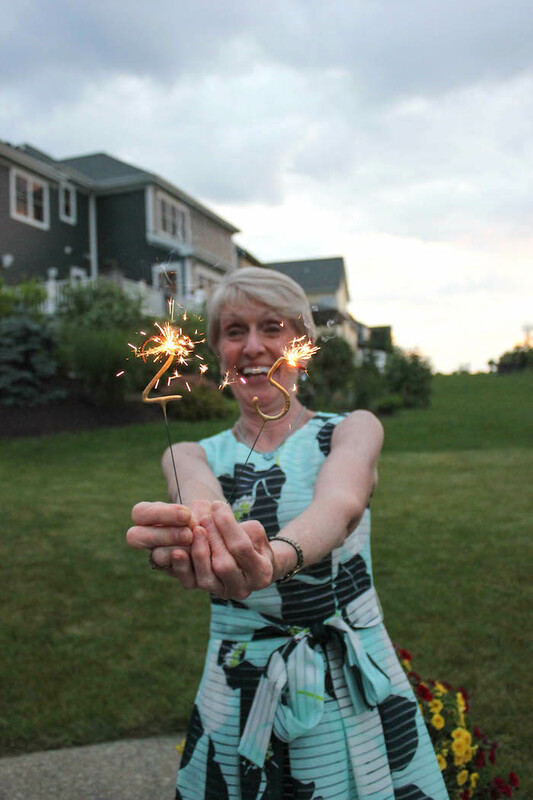 she is truly incredible and has made such an everlasting impression on the students and colleagues that she has touched over the years. So with that, I really wanted her celebration to be a truly special one. 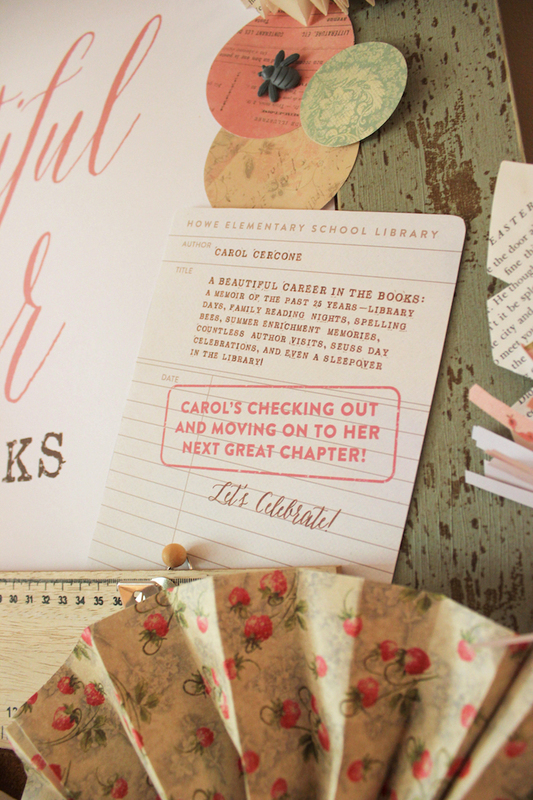 I quickly decided on a vintage book party theme as I knew it suited her so well. 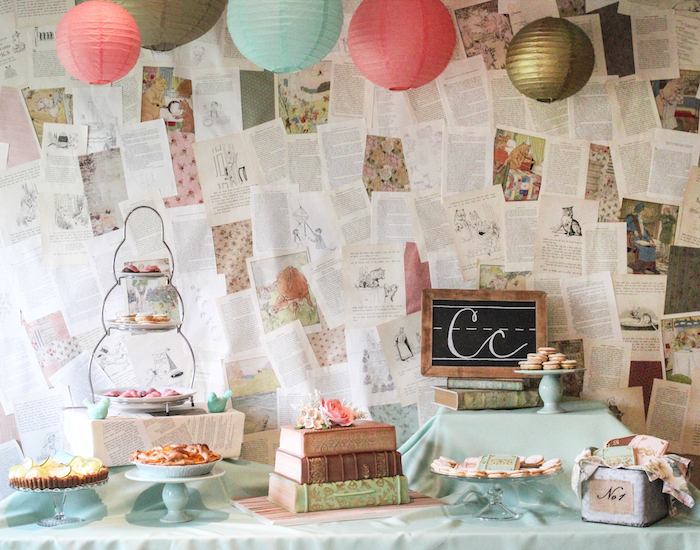 I created, planned and designed all of her decor while all of her fantastic friends and colleagues planned the food, drinks, incredibly thoughtful gifts, and the most amazing and touching video. 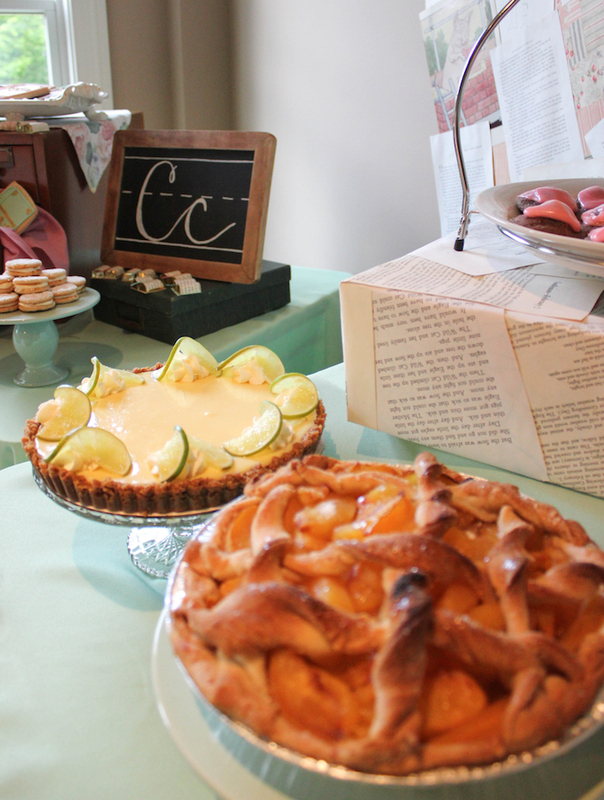 Then my mom and I worked together on the dessert table (I know, can you even believe her?!? She helped me with her own party! Thats just the kind of lady she is!) It was truly a night to remember, so well-deserved, and I couldnt be more thrilled for my mom! 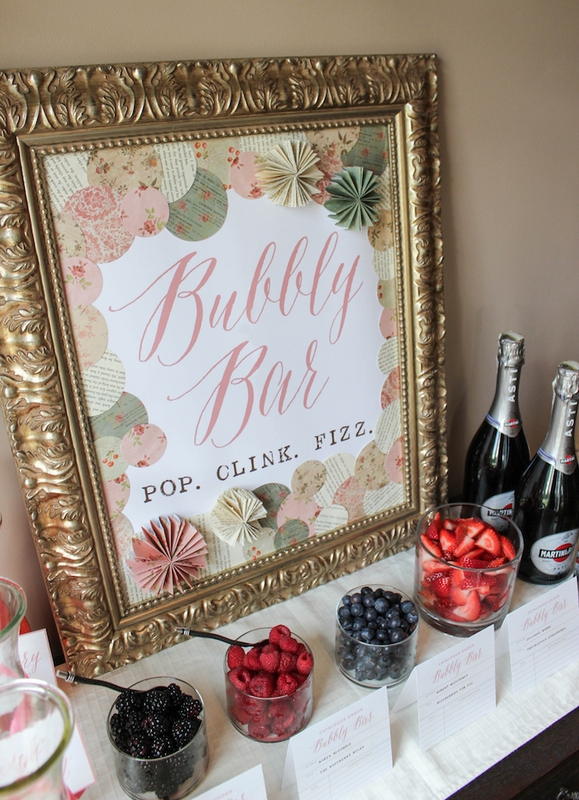 I wanted all of the decor to have a lot of texture and an overall vintage feel. 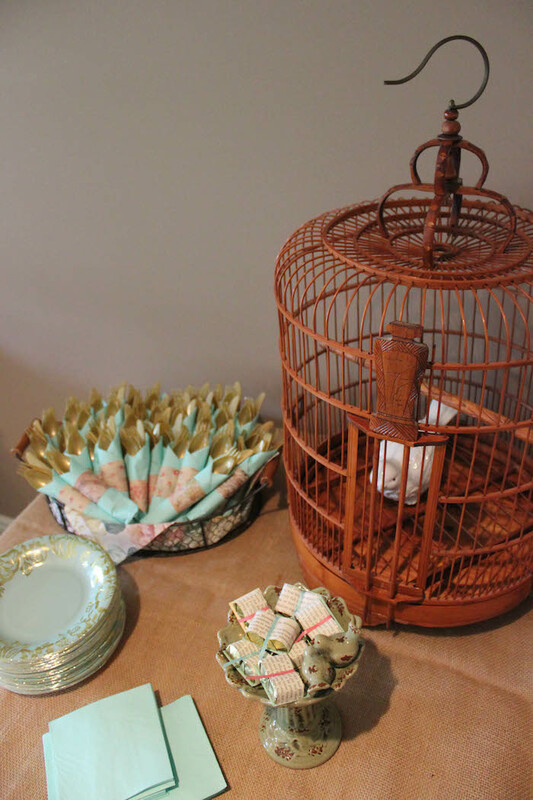 I picked the color palette of coral, mint, peach, teal, and tan because I felt like it was feminine and elegant while also very vintage. 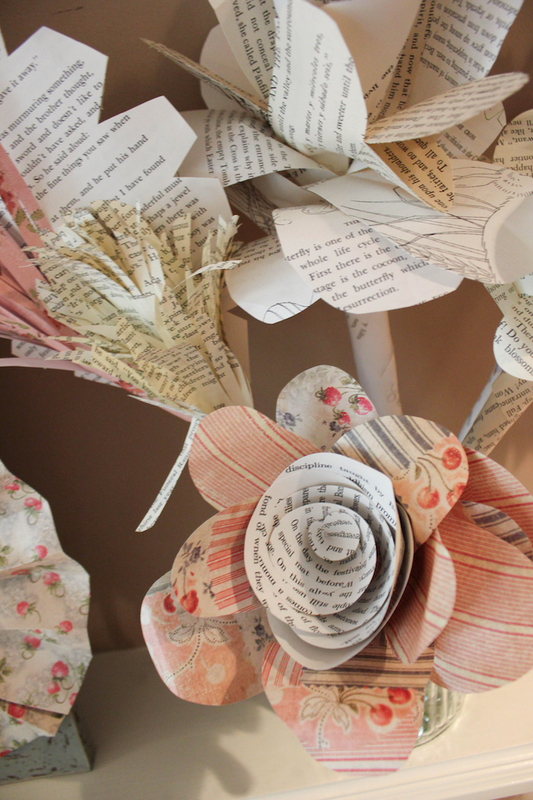 I also loved the idea of upcycling old books that were soon on their way to the recycle bin! 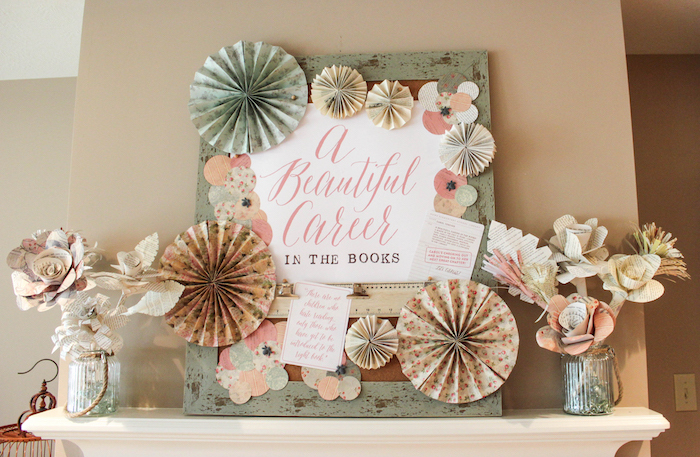 In addition, I found a great collection of scrapbook paper at Hobby Lobby that I blended with the book pages to complete the look for the paper flowers and rosettes. 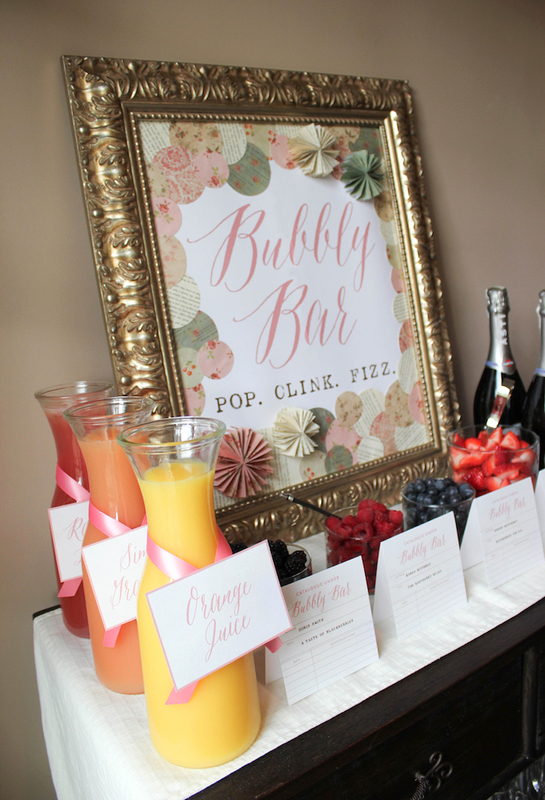 Ok, I might have to incorporate a Bubbly Bar into all of my future parties! This was just so fun! 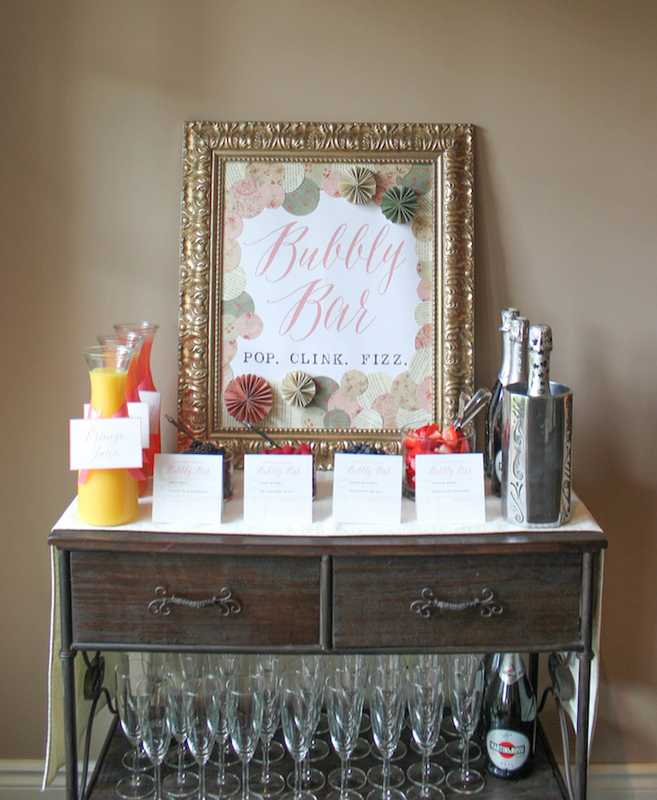 One of my moms best friends had the idea of creating this DIY champagne bar so all of the guests could create their own champagne cocktails. Everyone loved it! We had orange juice, raspberry lemonade, and grapefruit juice along with blueberries, strawberries, raspberries and blackberries as the fruit mix-ins. 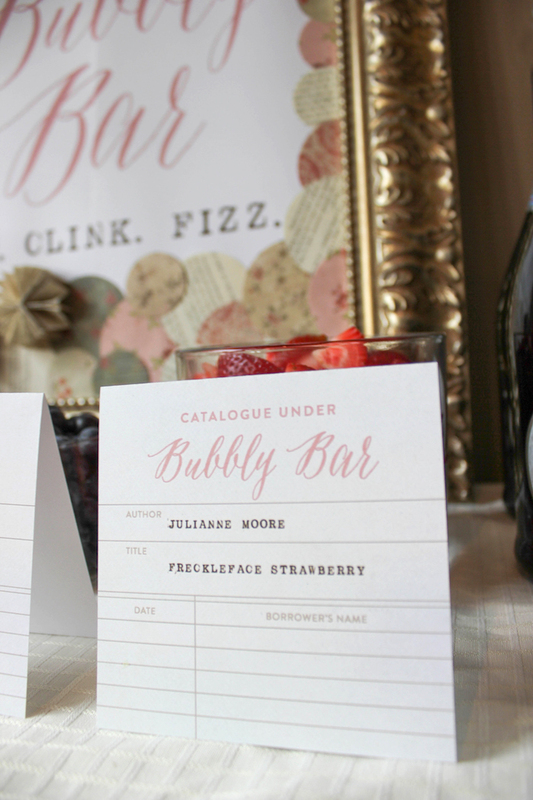 Then to continue with the book theme, I created the Bubbly Bar sign as well as the library card labels for the fruits. 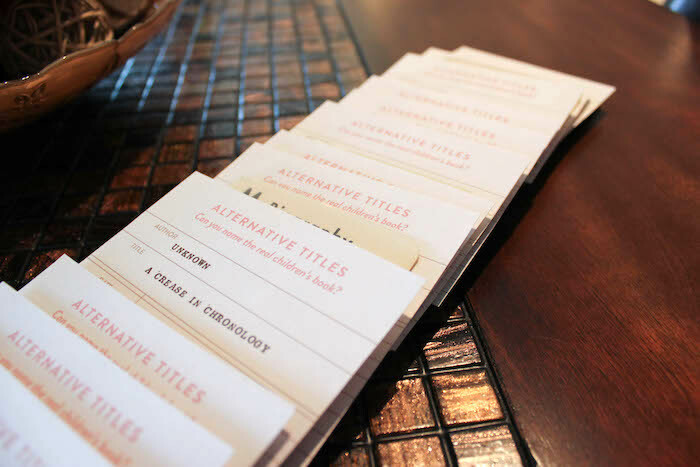 To add to the fun, we made each label for the fruits an actual title of a childrens book from my moms library that incorporated that specific type of fruit. 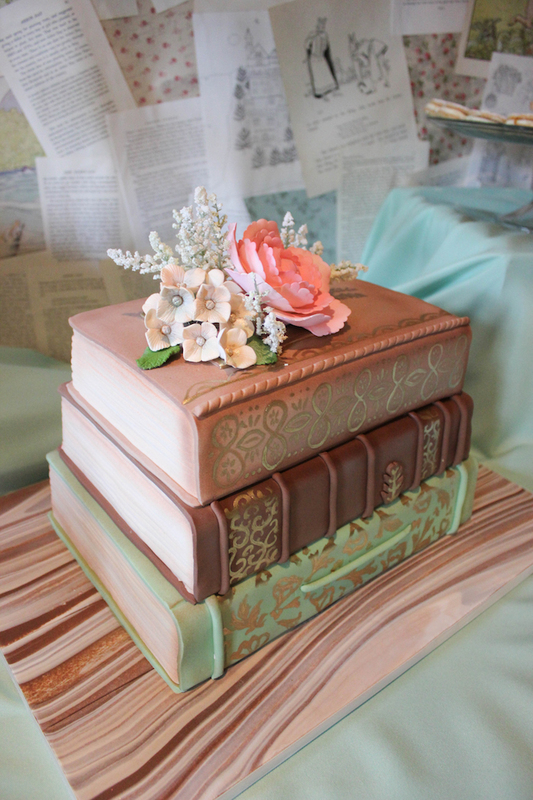 We ordered the book cake and matching cookies from Bella Christie and Lil Zs Sweet Boutique in Pittsburgh, PA. 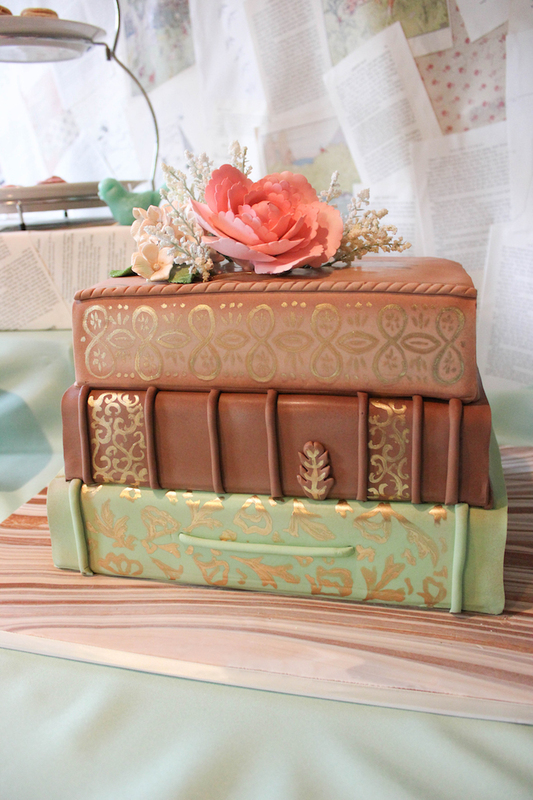 They have made absolutely incredible cakes for parties that I have had in the past, and this cake was no different. Not only was it stunningly beautiful, it was so delicious too! 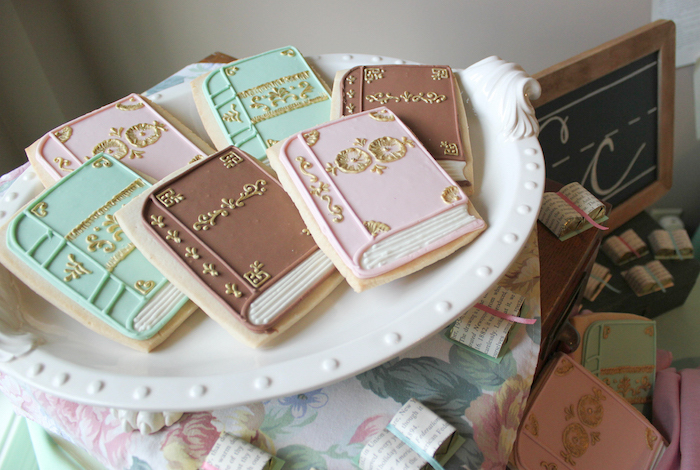 Each book had a different cake batter and frosting flavor. A lot of guests at the party didnt realize it was a cake at first!! 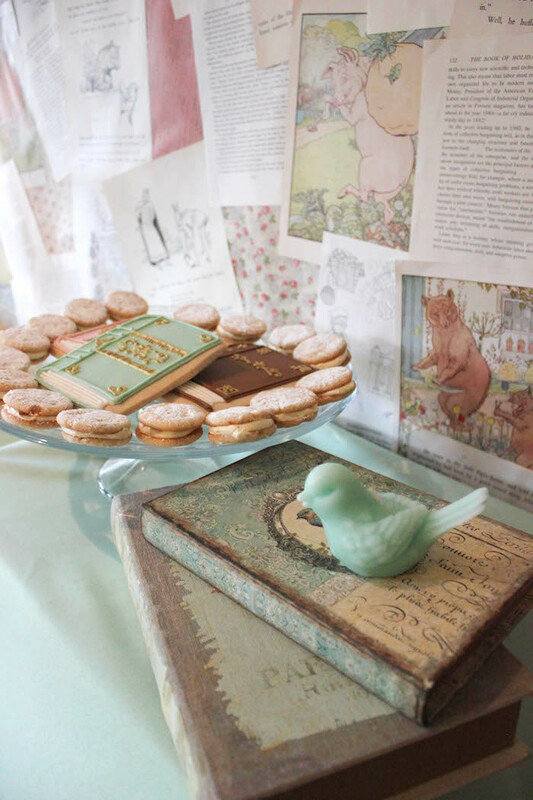 I also loved the idea of incorporating different books and library related items with the desserts on the table. 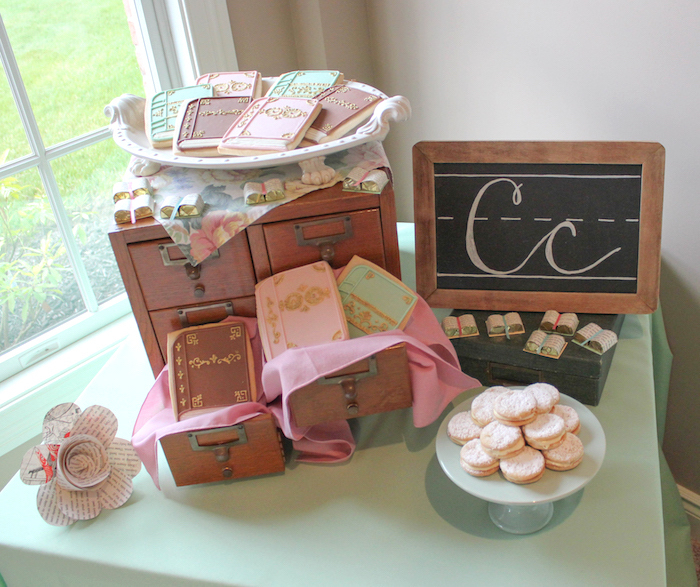 The chalkboard, books, and card catalogue worked so well! 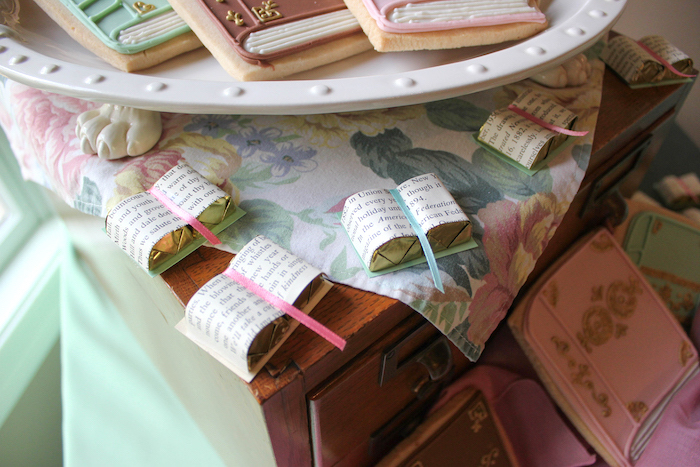 I lined some of the drawers of the card catalogue with napkins and they served as a fun way to display some of the book cookies too. 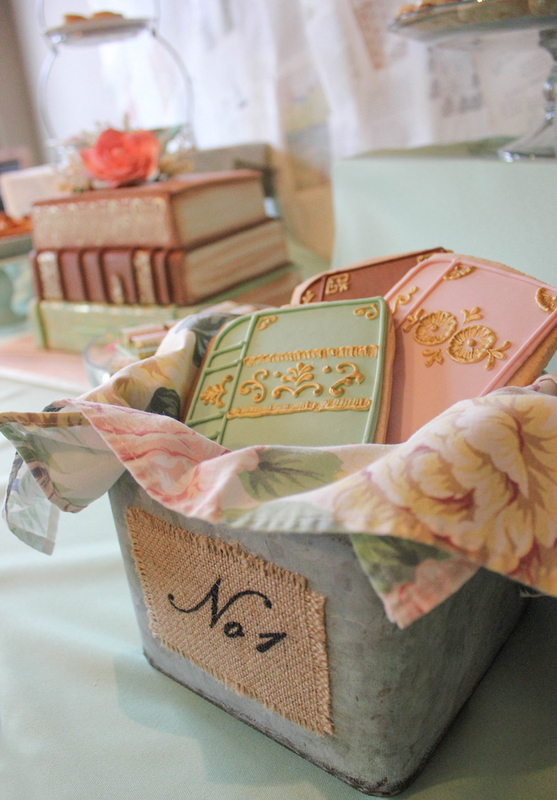 I have to mention the cute little chocolate books that we sprinkled around the party. They are very simple to make too. We just taped two Hersheys Nugget foil wrapped chocolates side-by-side with double-sided tape and then taped a rectangle of cardstock behind them. 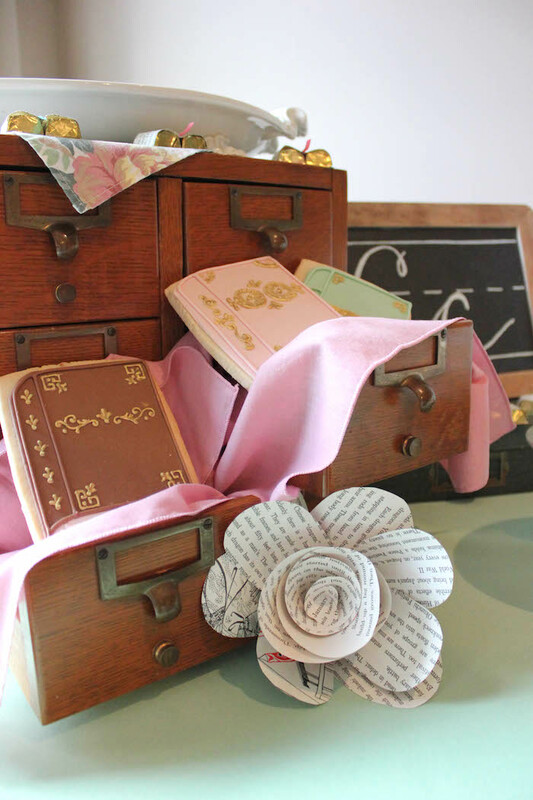 Then we added a small piece of book paper and a thin ribbon between the two chocolates. Arent they adorable?! 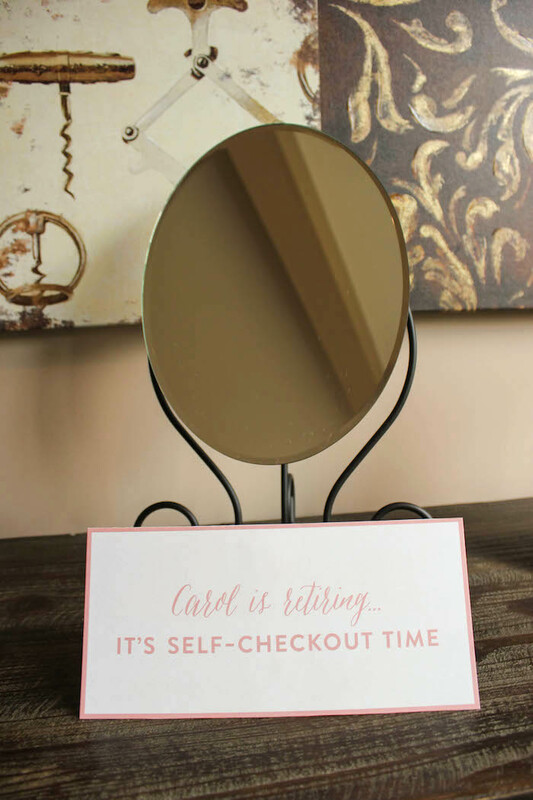 We also created a fun little game that everyone really seemed to love at the party. 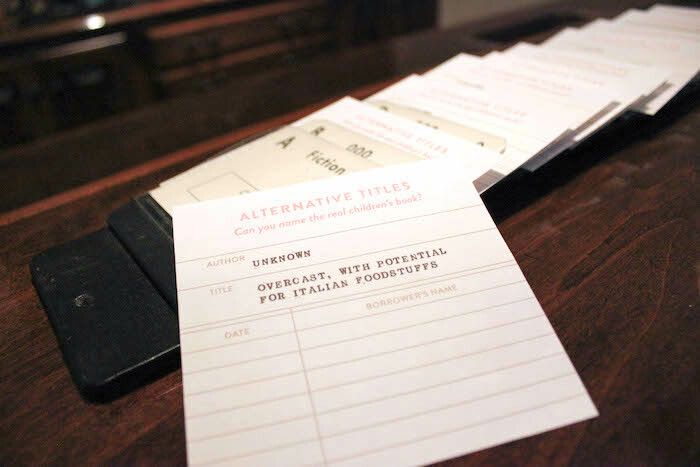 It was a series of 30 Alternate Titles coasters. The game was to try to name the real childrens book that was being described in the alternative title. 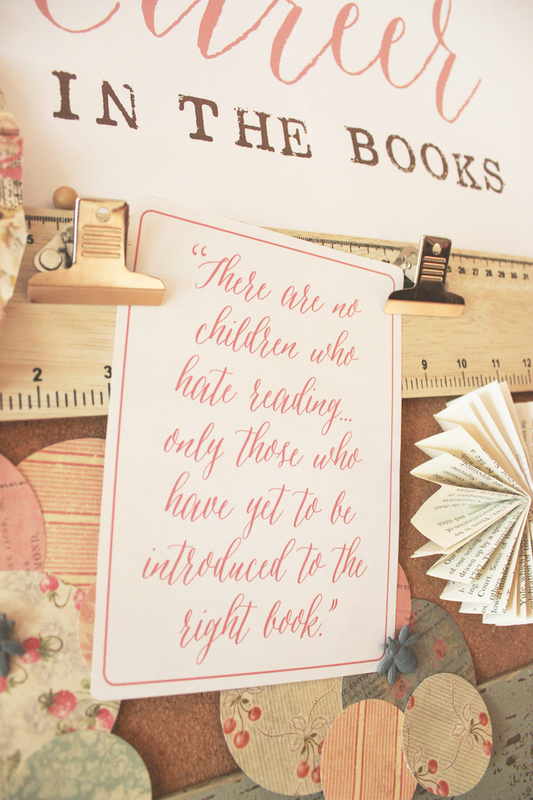 For example: A Crease in Chronology (A Wrinkle in Time) or An Explanation of the Circumstances That Allowed a Killjoy to Burglarize December 25 (How the Grinch Stole Christmas) They were really funny and definitely a conversation starter”! 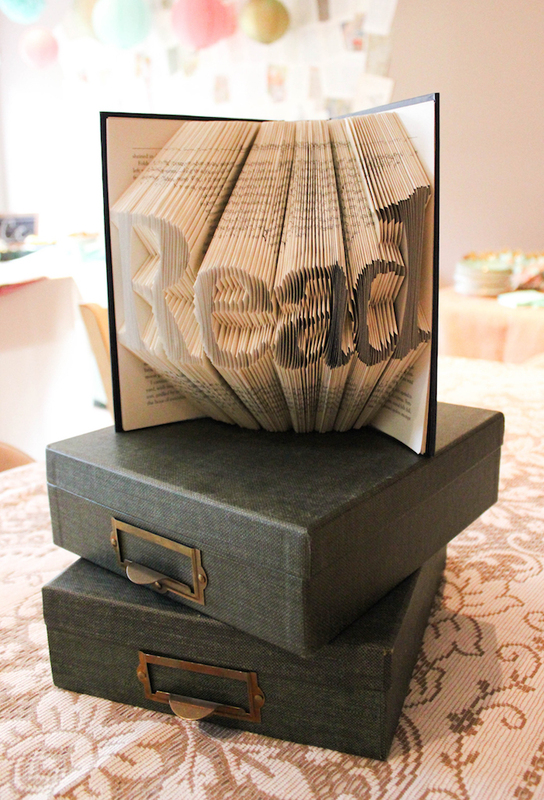 Don’t put the book down until you see all of our Retirement Party Ideas!